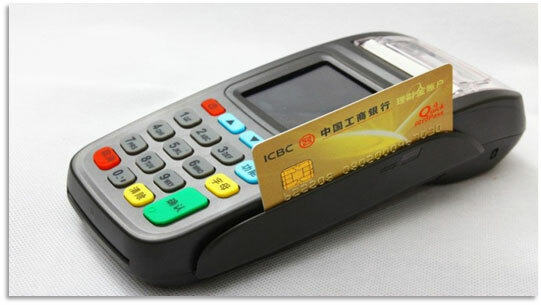 It’s no exaggeration to say that in 2015 mobile payments are taking over the Middle Kingdom! China is one of the first countries in the world where mobile payments have truely gained traction across society and are rapidly being accepted as the norm. Today, we’ll give you all the details on how to take WeChat Payments as a small business, because it seems that just about everyone is jumping on the mobile payment bandwagon! During a presentation at last month’s Tencent Global Partner’s Conference in Chongqing the General manager of WeChat payments described the above chart as “The Unimaginable Curve”. It shows the amazing increase in popularity of WeChat transactions that has happened in 2015 and how this trend is still increasing week by week! 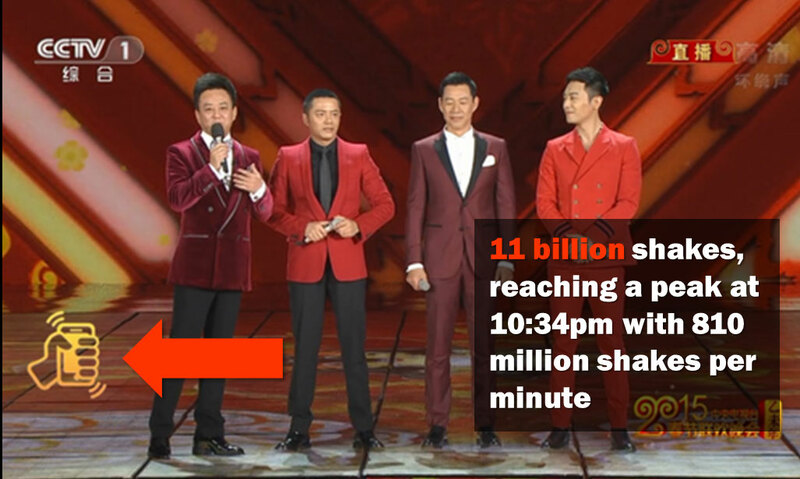 Payment transactions across WeChat famously became popular due to the Lucky Money (hong bao 红包) giveaway frenzy of the Chinese Spring Festival Gala TV Show. 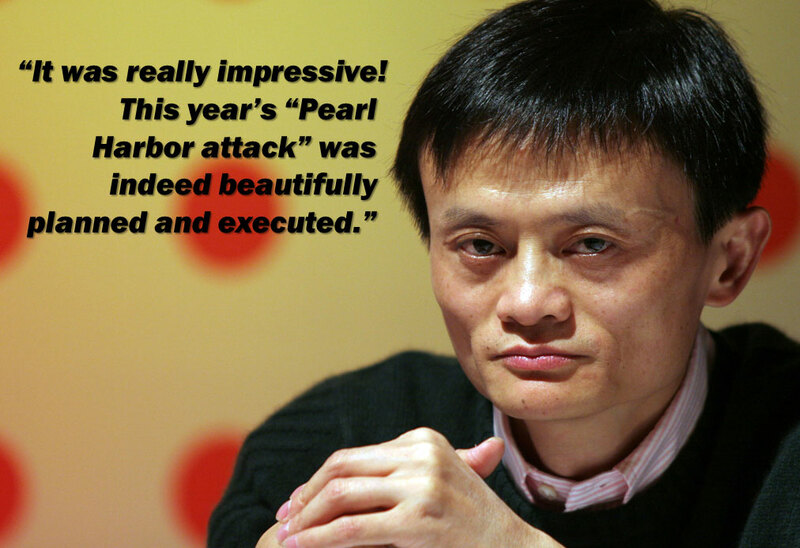 The phenomenon made global headlines and was later described by Jack Ma as a “Pearl Harbor attack” on Alibaba’s Alipay service. WeChat Payment now charge a 0.1% fee on monthly money transfers* in excess of 20,000 RMB (around US$3,200) from October 17th 2015. 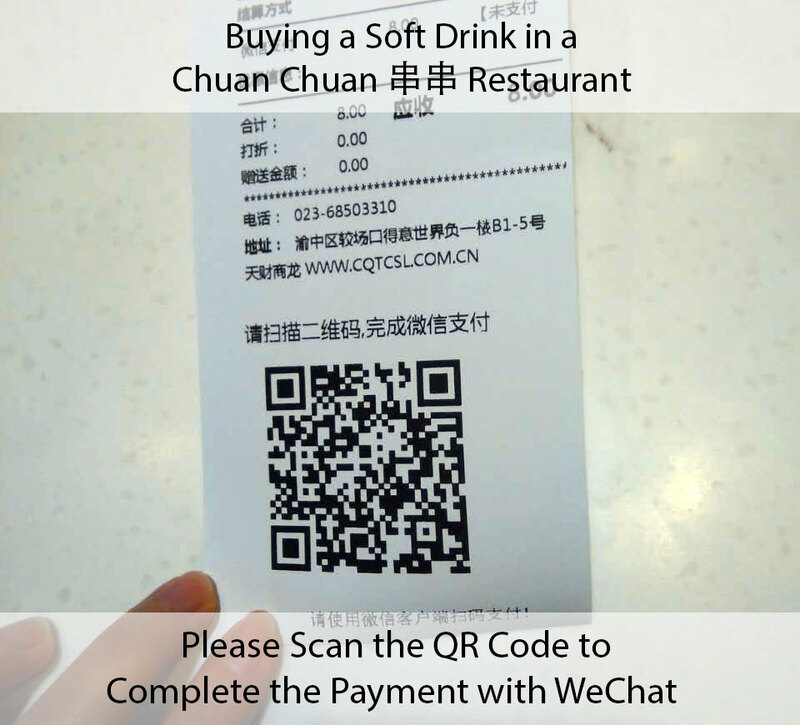 How to take WeChat Payments for my small business? The laser scan head will allow you to scan the payment QR code on the customer’s phone directly. 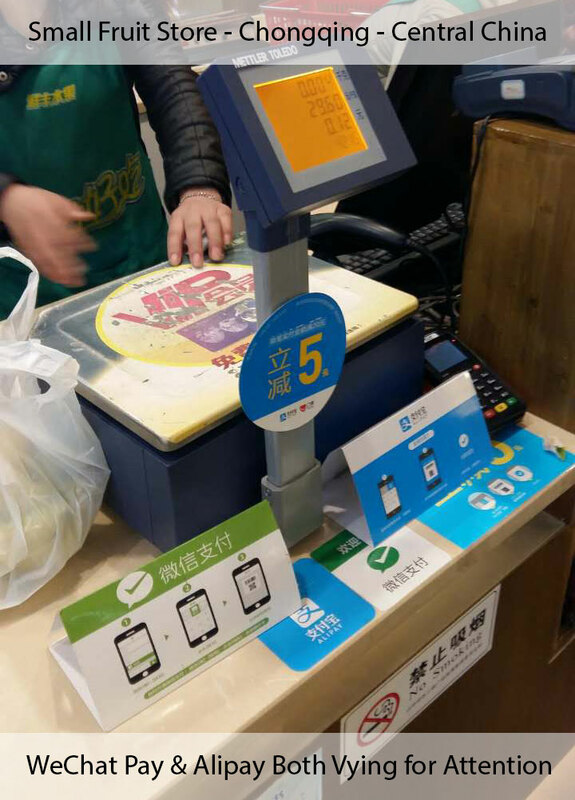 The cheaper version of the machine will produce a QR code that must be scanned by the customer’s phone in order to complete the payment. A small service fee is charged for all payments through the POS machine. These vary depending on the type of transaction, all of which are less than 1%. 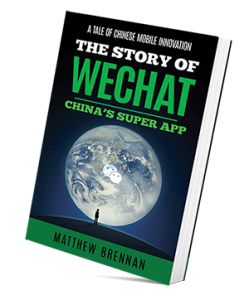 In order to take WeChat payments, a company will usually first need to set up it’s own verified WeChat Service account. 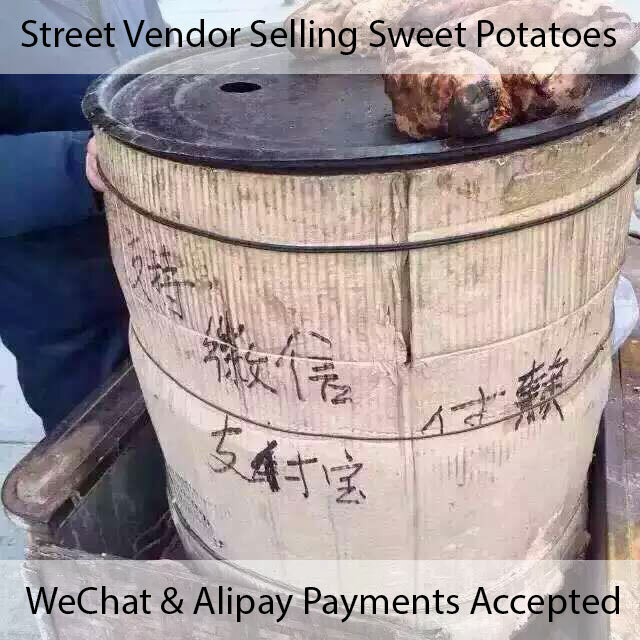 For Alipay, you will need a real name verfified Alipay account. There is a list of several documents that the company needs to provide including copies of business licenses, organization code, opening permit, pictures of the physical store etc. Once all the aplications are done, the machine is sent to the store by courier. 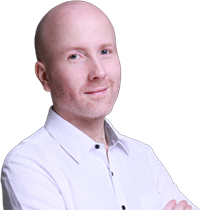 There is an online platform to track all transactions throught the machine. Final note: Contact us through the account or at info@chinachannel.co if you are interested in setting up mobile payments for your store, we can put you in touch.